As a child growing up in Baltimore City, Maryland, my friends and I used to engage in something that many kids today wouldn’t even think of doing … we actually played OUTSIDE! I loved to play pretty much everything but if I’m honest, most of the time my game of choice was basketball. The older I got the more organized my game became. I, like most of my friends through high school who could dribble a ball, began to focus on the same things. There were two factors that for the most part were outside of our control: 1) height – standing 6’3 ½ “, I was blessed to be beyond average by that measure and 2) speed – which I had as well. Today some will argue that you can “make” someone fast but I contend that you can only teach folk how to remove barriers to coordination thus allowing them to run faster which is a completely different issue. Then there were the things we could work on –things to help level the playing field for those who weren’t recipients of the God given gifts of height and speed: 1) “handles” – the dribbling and handling the basketball – not a strong suit of mine 2) shooting – I was average and 3) one’s “vertical” – ability to jump and how high – here again, I was beyond average. It was a fact that one of the most important factors along with height, weight, shooting and free throw percentage was the strength of your leap … your vertical. “What’s your vertical?” was the question asked among ballplayers on all courts throughout the city. 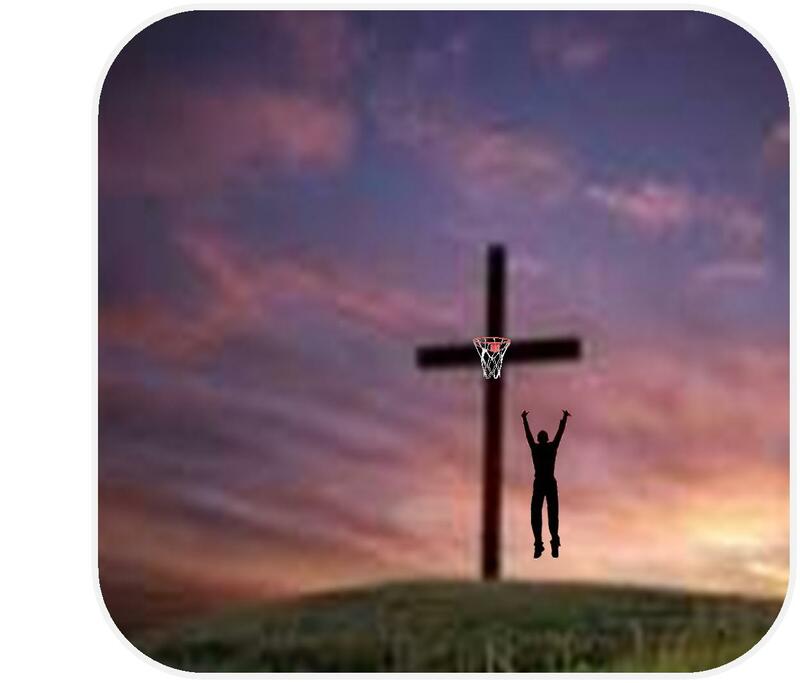 “How’s his vertical?” was one of the most important questions running through the mind of college recruiters and NBA scouts alike -looking to bring the next “Moses” to lead their team to the “Promised Land”. One of the most recognizable symbols of Christianity is and has been the cross. The cross, with its two intersecting beams, one horizontal and the other vertical when analyzed further can represent two different relationships. The horizontal beam, the shorter of the two, represents our earthly relationship with all things human: our families, friends, organizational affiliations, co-workers and I would argue even our religious affiliations. The vertical beam, running through the horizontal beam and much longer, symbolizes that which is not of this world or more poignantly our individual relationship with our God. It is this symbol that is synonymous with matters of faith and the church – especially the Black church. Through the institution of slavery and all other machinations of separation that followed (Jim Crow, desegregation) Black Christians have maintained a strong love for the church and an unyielding devotion to a God that can “make a way out of no way”. During slavery the only white-collar profession open to Blacks was the ministry as it was against the law in the Southern states to teach then “Negroes” to read. For much the same reason, places where Blacks could gather were just as limited as the professions from which they could choose. The church became the logical place to assemble for reasons including but not limited to a service on Sunday morning. Over the course of their history, Black churches have served as stations on the Underground Railroad during slavery, prep-rooms for sit-ins and other demonstrations during the Civil Rights Era, polling places for elections and meeting venues for various community organizations still today. In fact, as I write these words some community group is meeting in some church, somewhere. People have learned everything from reading, writing and arithmetic to computer literacy and the proper way to approach or prepare for the SAT in the hallowed halls of the Black church. Some churches even have basketball leauges and bowling teams – bringing a whole new meaning to the term “holy rollers”. Taking care of the spiritual needs was the obvious but addressing the social needs of many who would be considered “the least of these” was just as common for the Black church. The pastor made sure these services were offered to “all God’s children” – not just its members but also to people who were so downtrodden that they didn’t know what “up” looked like. These pastors were and – in many cases – still are treated like royalty. Pastors were God’s earthly emissaries. Their word was believed to be more than just their word but rather, God’s Word. In times past the pastor was accessible; he lived in the community and lived like the residents of the community. Member and pastor not only saw each other in church but also at the grocery store, school PTA meetings, the bank and in my father’s case, it was usually on Monday depositing the offering from Sunday’s service. Every human encounter was an opportunity to minister to and quite possibly be ministered to, as well. The lives of the two were not that different. They worked hand in hand on problems within the community because the member’s community was the also the pastor’s community. The pastor was a visible, vigorous and viable part of the community and if he was in good enough shape, he may even join in a quick game of basketball with the rest of the folk in the neighborhood. Have Black churches become so self-centered and insular that they have neglected their role as a major care taker of the community in which they sit? And if so, does that weaken or strengthen an individual’s relationship with God? Over the years I have become keenly aware of how intensely personal one’s spiritual life can be. I have come to the conclusion that it is my spiritual relationship with my God, my vertical relationship, if you will, that grows more important and essential with each passing day. So … How’s your vertical?